The Rosemere Cancer Centre is now one of the largest dedicated cancer treatment centres in the UK. 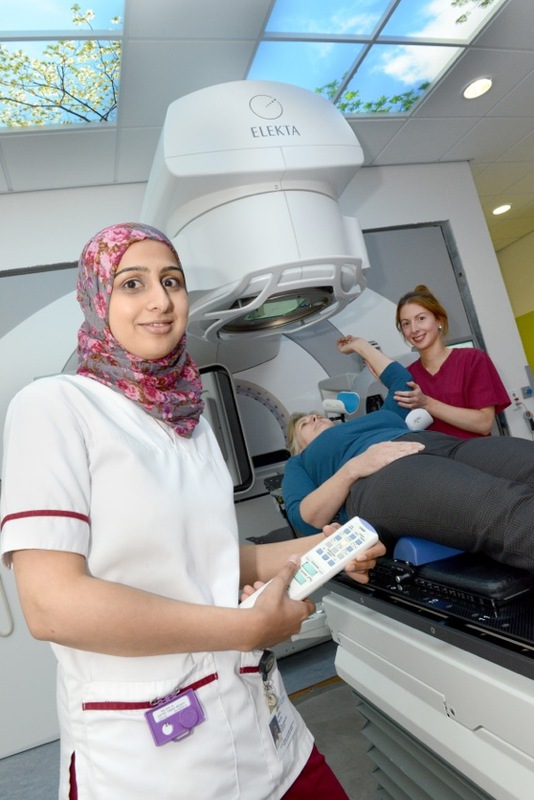 With a state of the art radiotherapy department, day case chemotherapy suite, outpatient clinic and 26 bed in-patient ward, the Centre provides highly specialist diagnostic and treatment services for patients from throughout Lancashire and South Cumbria. Where possible however, cancer treatment is delivered close to home and the Cancer Centre sits at the heart of a network of local specialist Units which provide surgery and chemotherapy for the populations of Lancaster and South Cumbria, the Fylde Coast and East Lancashire. Consultant Oncologists based at the Rosemere Cancer Centre see their patients in regular clinics in the Cancer Units across the region. They are members of the local cancer teams, closely involved in the planning and delivery of treatment to patients. 88% of patients diagnosed with cancer in Lancashire and South Cumbria are treated within the region in their local Cancer Unit or the Rosemere Cancer Centre. Only a small number of patients with rare cancers are referred outside the region to Cancer Centres which specialize in the treatment of their particular cancer. More than 9,000 people face a diagnosis of cancer in Lancashire and South Cumbria every year. Effective treatment is a major priority for the NHS but it is expensive and there is little left over for additional facilities and equipment that may make all the difference to the treatment experience of patients and their families. The Rosemere Cancer Foundation exists to raise funds for those things that fall outside the scope of the NHS,helping to deliver world class cancer treatment for the people of Lancashire and South Cumbria. It funds projects at the Rosemere Cancer Centre at Royal Preston Hospital, local Cancer Units across the region and local oncology related facilities such as the Breast Care Unit at Chorley Hospital and the Bowel Cancer Screening Unitat Lancaster Royal Infirmary. Rosemere also invests in cancer research undertaken within the region to give local patients early access to new treatments and in additional training to help clinical staff be the very best they can be. Wherever patients from Lancashire and South Cumbria are treated, there are projects funded by the Rosemere Cancer Foundation which are making a real difference to their comfort and quality of treatment.